This study describes the experience of severely deprived children referred for individual psychoanalytic psychotherapy at the Tavistock Clinic in London, and at other clinics and schools. Most were living in children's homes, all came from chaotic and disrupted families, and many had been abused or neglected. 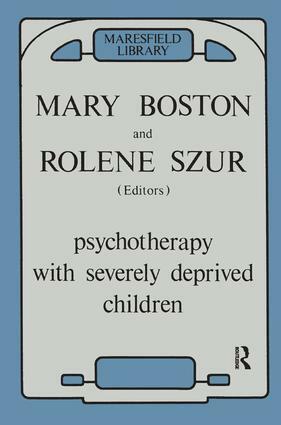 Children from such backgrounds have previously been considered unsuitable for psychotherapy, and the theoretical and technical issues arising from their treatment are discussed here, and detailed case material is presented. There is a high rate of emotional and behavioral disturbance among children in community care. The experiences of the therapists struggling, often painfully, to establish contact and communication with these young people, who have been hurt and disillusioned by life, provide illuminating material on the children's perceptions of their lives. This book clearly demonstrates the need for and the capacity to respond to treatment, and it provides insights which are of relevance to all who are in close contact with such children.